My argument here is a pray to all south European students to study English and mathematics as much as they can and to all lucky Norwegian students to be open and generous to South European ones. I came to Norway for the first time in 1989 while the Berlin Wall was falling. I looked CNN in a room at Moholt. I did not understand much English but I had an intuition that something important was happening. In 1989, Italy used to be one of the five World biggest echonomy. I had just graduated in computer science from the third oldest university in the world (Pisa University) from a department which had started to offer Computer Science Degrees since 1969. 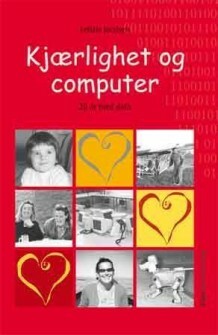 In Trondheim, I started to work with Professor Conradi and his team and even if my English was very bad (since I had never had English in school) I integrated well in the group and we produced some publications, like for example in IEEE Transaction of software engineering, which have been successful. Check google scholar if you want. Many years have passed, I am a professor at the same department where I use to be a guest research student. I still work with professor Conradi and with some of the brilliant guys who used to be excellent students at Glæshaugen 20 years ago. We seat in the leader team of the department, and yesterday the student representing students in the board had a request for us. He asked the board to introduce a new rule to stop South European students who do not speak good English to join the studies as they disturb and disrupt the team work. I have learned not to share my feeling around a meeting table. I did not say anything. I started to breath and to think. I was thinking of my own experience of 20 years ago and at the same time at the south European boys and girls, especially Italians. I thought that I have a message for them. I want to shout to all south European students to study English and mathematics as much as they can, so that they will save themselves from unemployment. I have also a pray to to all lucky Norwegian students, including my children, to be open and generous to South European ones. I have seen the Berlin wall fall, I now see 1 millions of Greeks in the Street of Athens, scenes are similar to those of 1989 in Berlin, something big is happening and even if I understand Enlish very well, I am not understanding what. Please tell to south European students to study English and mathematics as much as they can, so that they will save themselves from unemployment. Please tell to all lucky Norwegian students to be open and generous to European ones. The world will always change and we have all to be prepared that rich countries can become poor. Education and open mind, nobody will take them from you.